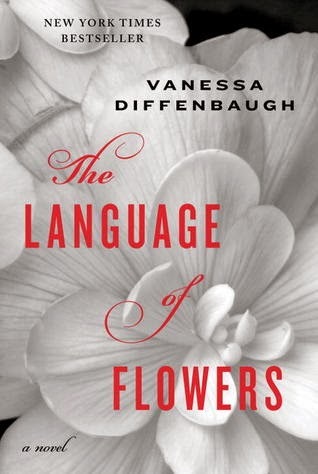 The Language of Flowers by Vanessa Diffenbaugh was recently chosen for one of my book club reads. I had heard a lot of hype around the book, but I never found myself desiring to read it. Despite that, I still picked up this book, all for the love of my book club. As an infant, Victoria was abandoned by her mother and bounced around foster families all her life. At one point, she believes she has found the home and family for her. Unfortunately, it does not work out and she is put back into the system, living in group homes until her emancipation at the age of eighteen. She finally has the chance to start over, a chance at a new beginning. A possibility arises that may just help her to make this start - working with a florist, creating beautiful arrangements with deep meaning through the language of flowers. Will she be able to make it work or will she fail yet again? Diffenbaugh surprised me. I was expecting a fluffy, surface read. What I received was a deep-rooted emotional story that was so much more than a tale about flowers. It was a story about love and loss, acceptance, and how we perceive ourselves and others. I shut this book feeling fulfilled. It is no happy ending, but it is a realistic one that will leave you wondering and considering the message you are sending to others. A Language of Flowers is a must read! Have you discovered The Language of Flowers? What was one of your favorite flower and its meaning? I liked this one a lot, too. I wasn't expecting to, but it was a wise book club choice that pushed me out of my comfort zone a bit and delighted me! Andi ... Me too! So far, I think I'm one of the few that actually enjoyed it though in my book club. I absolutely adored this book, what with being a flower nerd and all, it spoke to me. It was so well done, I'm glad you liked it! I can't possibly pick a favorite flower, but I am quite partial to daisies. They're just so HAPPY!